Elizabeth Bernholz, the Brighton, UK-based writer/producer/composer/artist behind Gazelle Twin, cuts a singular figure in today's pop landscape. 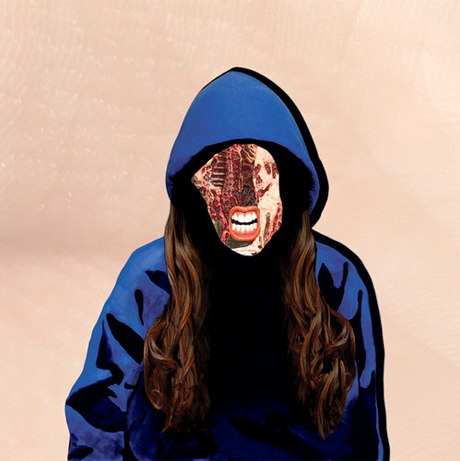 Whereas her debut album, 2011's critically acclaimed The Entire City, was heralded as a "triumph of art-pop splendour" and favoured more traditional harmonies and song structure, Unflesh does everything possible to distance itself from Gazelle Twin's previous material. Bernholz goes into full industrial-pop territory on her new full-length, with material that is less immediate and less accessible, but oh so intriguing. Preceded by singles such as "GUTS" and "Anti Body," both very good indicators as to the life Unflesh would take, this new release is unrelenting and menacing in ways that are hard to understand, much like a Lynch film that just won't leave you days after viewing. Many reviewers were quick to note a resemblance to Fever Ray's Karin Dreijer Andersson on Bernholz's debut album, and while those resemblances remain with this new material, it would seem Gazelle Twin is ready to pick up the Knife's mantle and fill the void they're sure to leave after their upcoming final performance.